There are some things I can profess to not remembering, but really I do – like a time before e-mails and internet access, or the ability to quickly settle a pub argument by doing a quick Google search on my phone – but I genuinely do not recall a time when Sir Alex Ferguson was not the manager of Manchester United. He took charge at Old Trafford in November 1986 – when I was just five years old – and the thought of anyone else at the helm for United has become as alien as the prospect of them not challenging for the title every season, as the Scot has had them do almost every year since 1990/91 – finishing in the top 3 in each of those campaigns and only third on two occasions (2003/4, 2004/5). 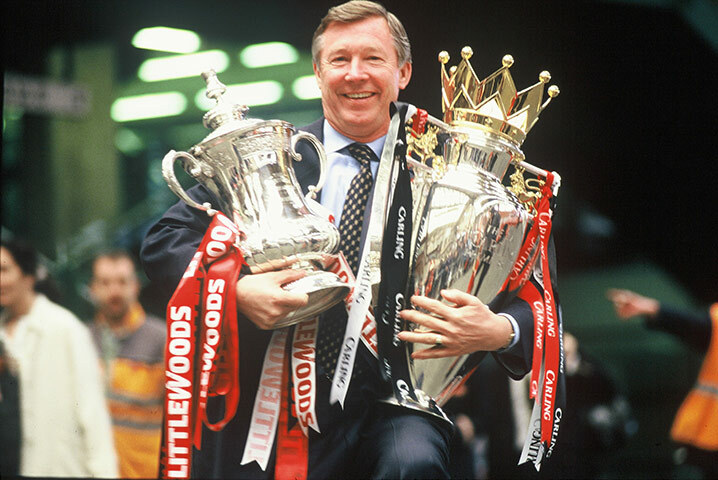 In his nearly 27 years as manager of Manchester United, Ferguson won almost every trophy available: 13 league titles; 5 F.A. Cups; 4 League Cups; 2 European Cups; and 1 Cup Winners Cups – these triumphs included three Premiership and cup doubles and the treble of the league, cup and Champions League trophies in 1998/9. Today, Ferguson announced that this campaign will be his last and he will retire as manager of Manchester United at the conclusion of the season. It was nearly all so different though. 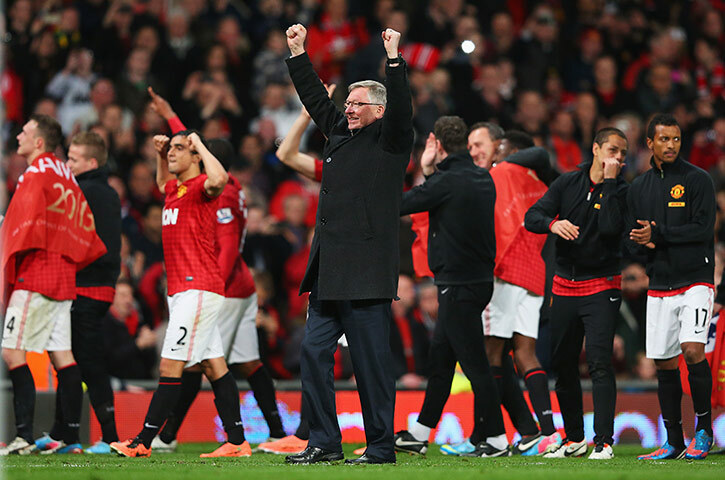 In a much storied tale, the fate of Sir Alex had rested on a third round F.A. Cup tie in 1990 against Nottingham Forest, when defeat could have seen the Scotsman sacked after inconsistent performances over his first 3+ years at the helm at Old Trafford. However, a Mark Robins goal helped them progress in the competition and ultimately it led to the first trophy of the Ferguson era at Manchester United, as they beat Crystal Palace 1-0 in a replay of the final, having drawn the first game 3-3. That victory also earned the Red Devils qualification to the Cup Winners Cup – a now defunct European tournament for the winners of each country’s domestic cup – the following year and that proved to be Fergie’s first continental success. Although the 1991/2 season ultimately ended in the disappointment of losing the title to Leeds United, Ferguson ended United’s 26 year wait for a league championship the following year, as they won the Premiership in its first year of existence. One of the crucial matches in that first title success was a 2-1 home victory against Sheffield Wednesday in 1993, a fixture in which United were trailing going into the final few minutes, but two goals from defender Steve Bruce – the second deep into injury time – turned a loss into a win and propelled them towards the Premiership crown. Not only did this give United three much-needed points, it was also the starting point for the term “Fergie Time”, which was the suggestion that such was the manager’s influence over referees, they would allow a game to continue long enough to allow United to score the goals they need (this was prior to the introduction of the fourth official indicating how many additional minutes would be played at the end of each half). In truth, what it provided evidence for was that a team under Ferguson would never quit and would fight right up until the final whistle – a trait that was crucial to their treble winning season of 1998/9. In the FA Cup, Manchester United trailed Liverpool 1-0 in the fourth round, but strikes from Dwight Yorke and Ole Gunnar Solskjaer turned the tie around; then, in an epic semi-final replay against Arsenal, Roy Keane had been sent off and the Red Devils conceded a late penalty, but this was saved by Peter Schmeichel and Ferguson’s men prevailed thanks to a wonder goal by Ryan Giggs. It was not just domestically that Manchester United had a never-say-die attitude, in the semi-finals of the Champions League, they recovered from 2-0 down against Juventus to win the match 3-2, inspired by their captain Roy Keane, who had already picked up a booking that meant he would miss the final. The 1998/9 season – and in part, Ferguson’s tenure at United as a whole – will be defined by the Champions League Final, when United trailed for almost the entire game after falling behind early against Bayern Munchen, but then two goals in the final minute by Teddy Sheringham and Solskjaer saw them claim the trophy and leave the German team on their knees, unable to believe what had just happened. Even the Scotsman could not find words to describe the turnaround in his post-match interview, saying “Football. Bloody hell!”. Alongside his consistent winning, Sir Alex will be remembered for some controversies too, such as his ability to get under other manager’s skin – most famously, Kevin Keegan during their title race with Newcastle in 1995/6 – as well as spats with Arsene Wenger and Rafa Benitez; his use of mind games to try to affect both officials and the opposition; kicking a boot that hit David Beckham in the face; an ill-fated dalliance with racehorse ownership with Rock of Gibraltar that ended in acrimony; and his refusal to talk to the BBC for seven years when he was unhappy about a documentary they had broadcast which suggested that Jason Ferguson used his father’s influence to assist his work as an agent (the allegations were unproven). Nevertheless, most football fans, no matter who they support, have respect for Sir Alex Ferguson’s reign at Manchester United and his ability to rebuild his team several times over the course of his tenure. In the last decade, since he reversed his decision to retire in 2002, Ferguson has dealt with the new challenges of mega-rich Chelsea and Manchester City. Although they went four seasons without a title between 2003 and 2007, United have claimed five of the last seven Premiership trophies and added a third European Cup success, as they defeated Chelsea in Moscow in 2008. While the pile of 38 trophies speak for themselves, what speaks most to the Scotsman’s brilliance is the fact that even with Chelsea and Manchester City being owned by billionaires and able to outspend everyone else in the transfer market, he departs with United as champions for the 20th time – now two ahead of Liverpool’s total – and still the team to beat in the English game.